I grew up playing versions of the card game Rummy, mainly a variant of Shanghai Rummy (with the buys, but no jokers) and Canadian Rummy (which may be a form of Continental Rummy). 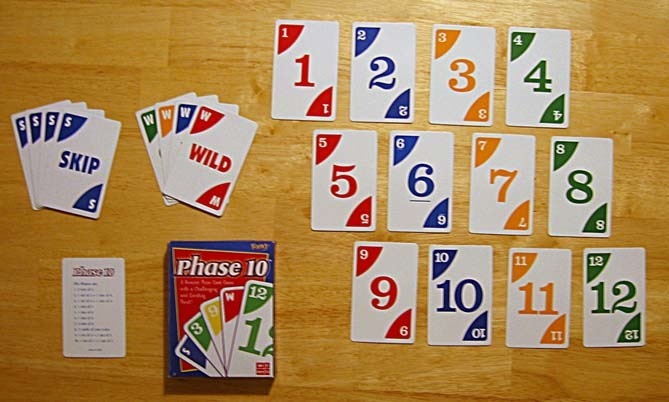 We still play lots of it as an extended family (on my side), and it led on to games like Canasta, Bolivia, Samba, and others which required you to ‘meld’ certain combinations of cards to play a round. Ironically, I have never played Gin Rummy, which seems to be more an American game than British one. (I have just consulted my copy of “The New Complete Hoyle: The Authoritative Guide to the Official Rules of All Popular Games of Skill and Chance, Revised Edition” (Albert H. Morehead, Richard L. Frey, Geoffrey Mott-Smith) and can find no mention of Canadian Rummy, so it must be some kind of variation that my grandparents picked up on their travels somewhere). 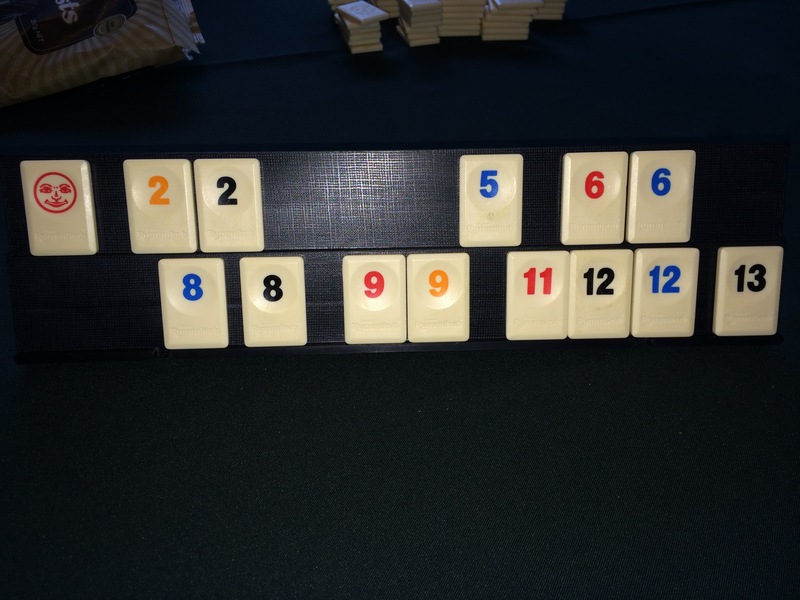 Anywhere, where this is leading is to the two games for today, which are both based on a Rummy/Canasta (with a touch of Mahjong) style of playing with melds, required sequences and sets, and a number of ‘suits’ – albeit represented by colours. 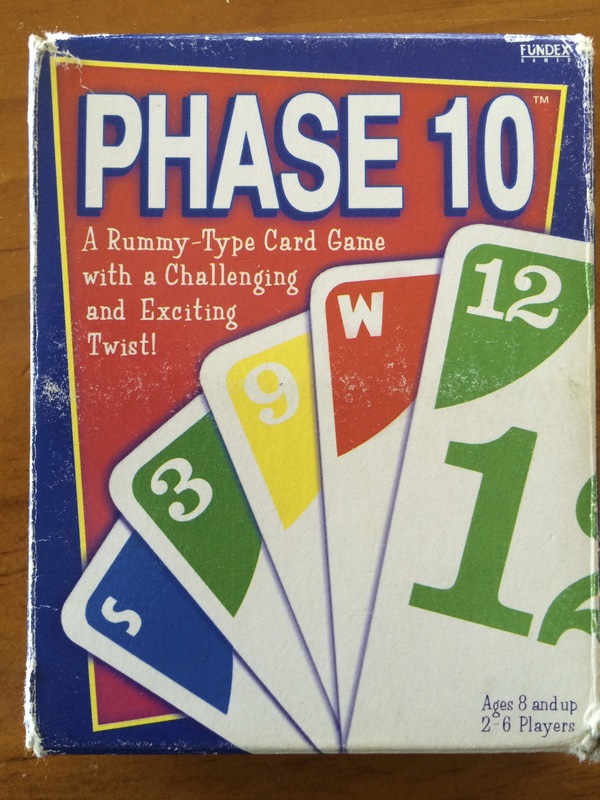 Phase 10 is the first game off the shelf – which is a card game where you progress through a series of different levels or ‘phases’ that you have to complete in turn to get to the end of the game. There is nothing so frustrating as getting stuck on a phase for turn after turn as everyone else progresses forward. A good game, relatively easy to learn, but can be frustrating for younger players (and me), and can take much longer than you think leading to game fatigue by the end. If you can play a Rummy variant you can play this almost with no extra effort – once again the idea is to have the lowest score and the highest phase. 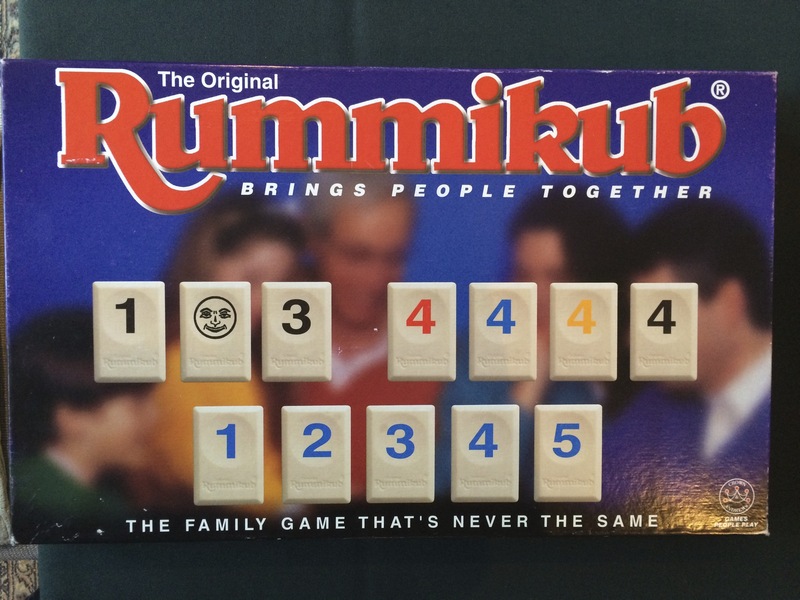 Rummikub is a board game which is effectively a card game in disguise. 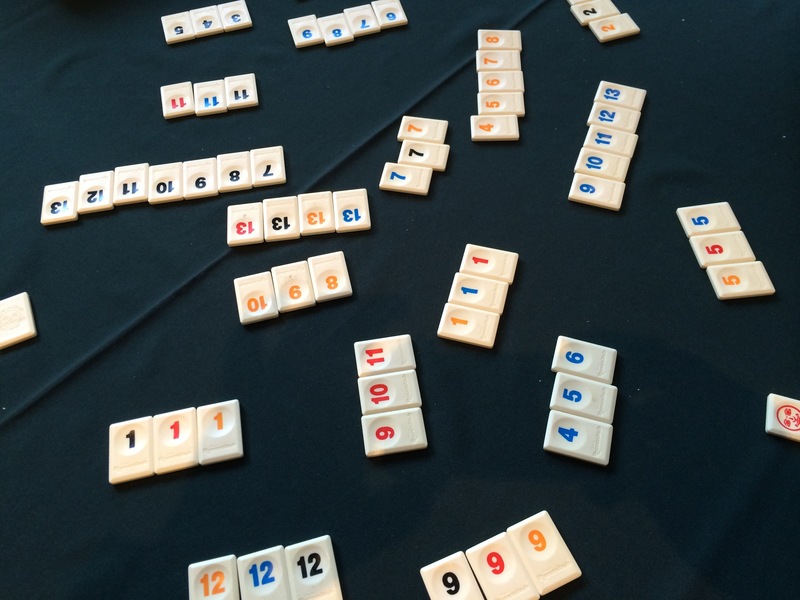 Yes, there are tiles instead of cards, but you have four ‘suits’ – red, gold, blue, and black – and you used the tile like cards to meld a certain number of points to start, you have ‘joker’ tiles, and you want to get the lowest point score at the end of the game. But, in terms of a tactile sense it is easier to manipulate by smaller hands, there’s a solidity to rearranging sets and sequences of tiles on the table, and has a stand for your pieces. And the turns are relatively quick, so less game fatigue than Phase 10, or even a Rummy card game. We played the other day and it was fun to come back to it after a year or two. All in all, both are good games, but for a real challenge learn to play Canasta which is a real challenge and pleasure to play.